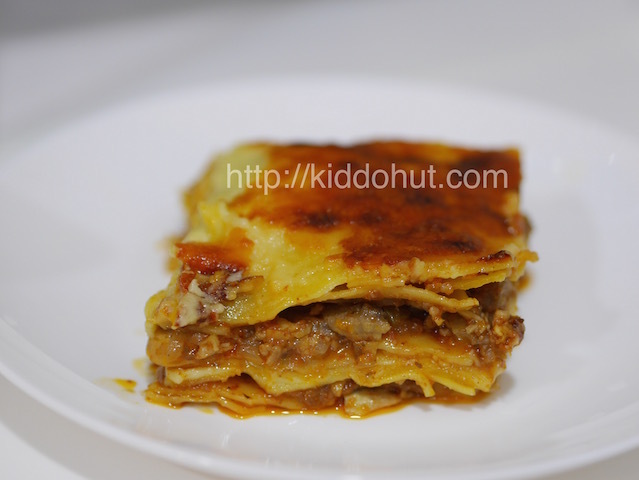 I have always wanted to make my own Lasagna so that I can add whatever ingredients I like. Unfortunately, my old oven has given up on me few years back and this “project” has waited until now. For the first time I have made my own Lasagna and very surprised by the result. In fact, I have modified the recipe provided on the lasagna sheet box. Although the original recipe uses tomato paste and canned tomatoes, I prefer to use ready-made pasta sauce beside that I am lazy, I can pick whatever taste of pasta sauce I like rather than just plain tomato paste. 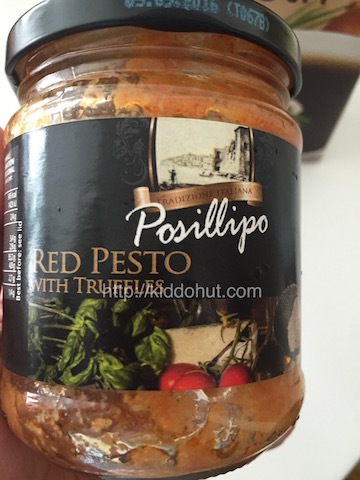 In this recipe, I have used the pasta sauce with truffles. If you don’t like pork or due to religion, cannot have pork, you can replace it with beef. 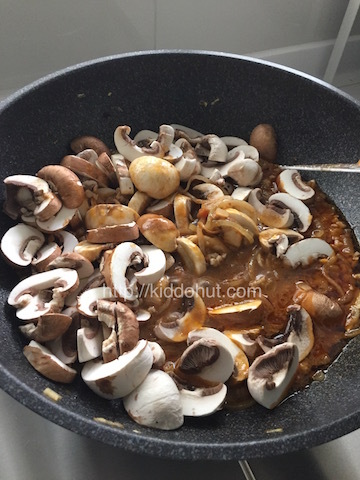 The mushroom can be replaced with chicken stock or vegetable stock, all depends on preference and accompanying ingredients. The original recipe calls for 2 cups of milk, but that will dilute the cheese and too watery. 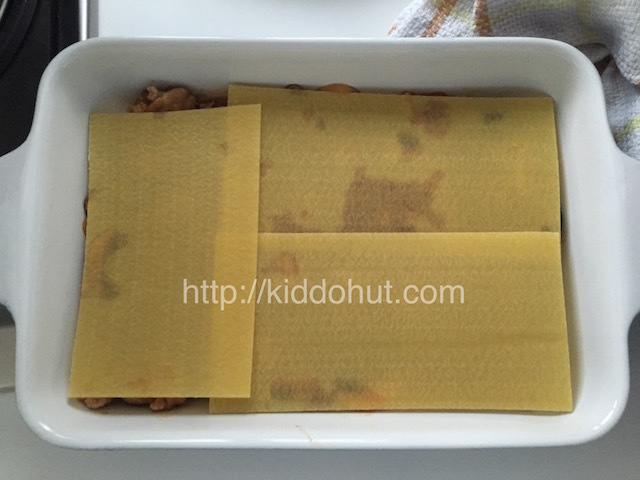 For a more palatable and tasty lasagna, ensure that the lasagna sheets are covered completely with the meat sauce. 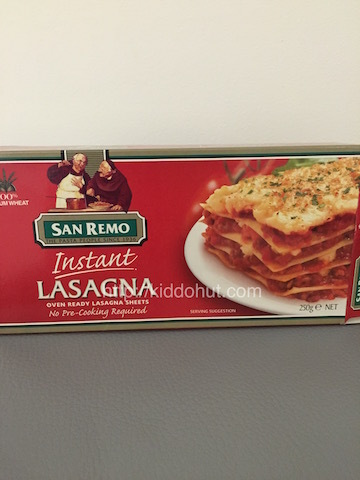 This gives moisture for the lasagna sheets to be cooked well and nice. It is important to retain a high level of moisture. 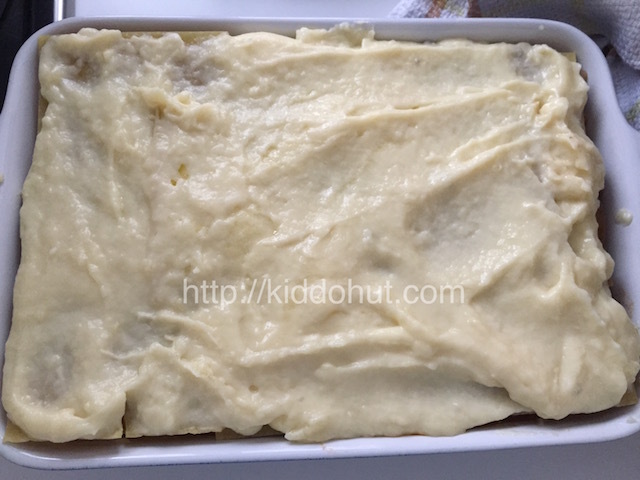 If you want a simple and easy to make Lasagna recipe, here it is! 1. Heat oil in saucepan. 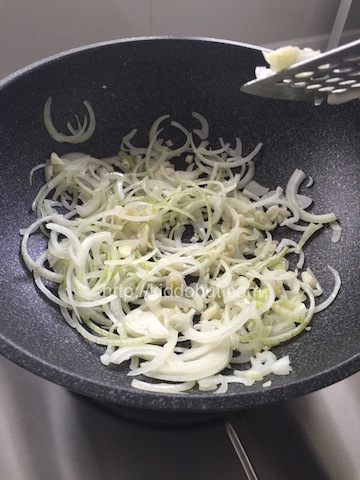 Add onion and garlic, stir fry till soft. 2. 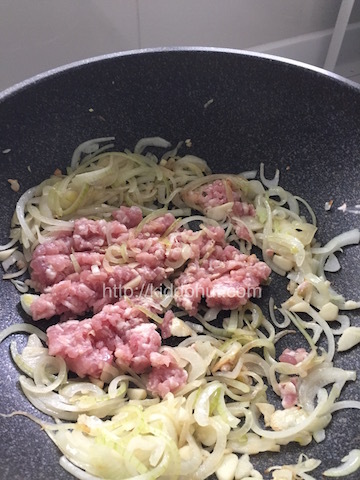 Add minced pork and stir fry till half cooked. 3. Add the pasta sauce and mix. 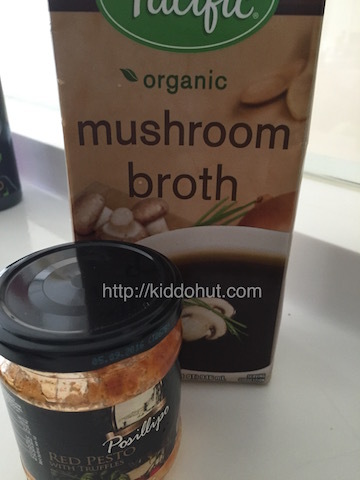 Add mushroom stock. 4. Add mushrooms and simmer till soft. Set aside. 1. 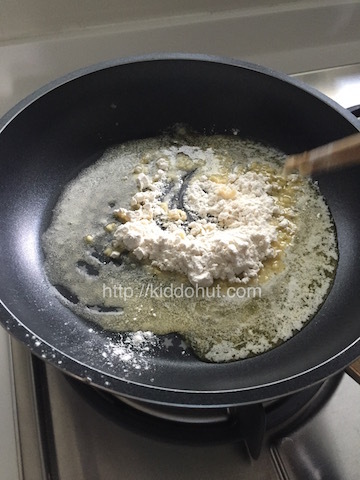 Melt butter in another saucepan, stir in flour and cook for 2-3 minutes over low heat. 2. 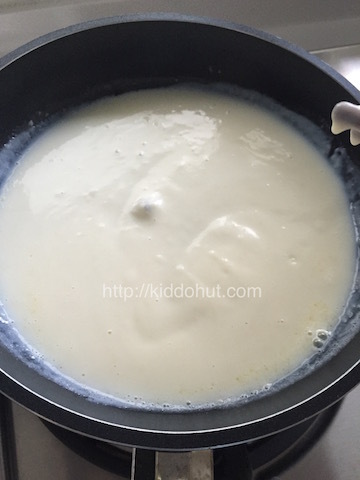 Remove from heat and stir in milk. 3. 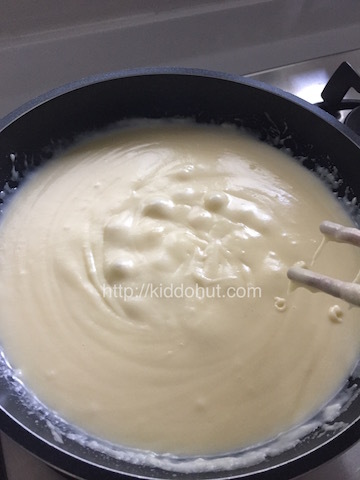 Return to low heat and stir until thick and smooth. Season with pinches of salt. 4. Add cheddar or mozzarella cheese and stir until cheese melt. Set aside. 2. 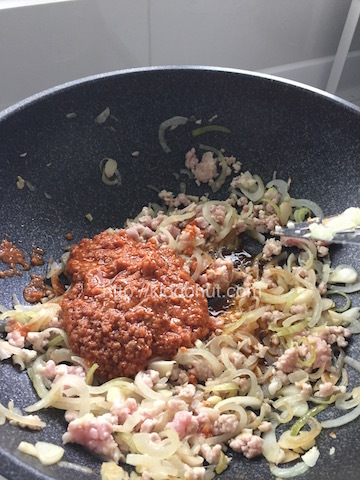 Meanwhile, pour some meat sauce into the baking dish to lay as base. 3. Add layer of lasagna sheet, then pour some cheese sauce on top of the lasagna. 4. Alternate layers of lasagna, meat and cheese sauces, ending with cheese sauce. 5. 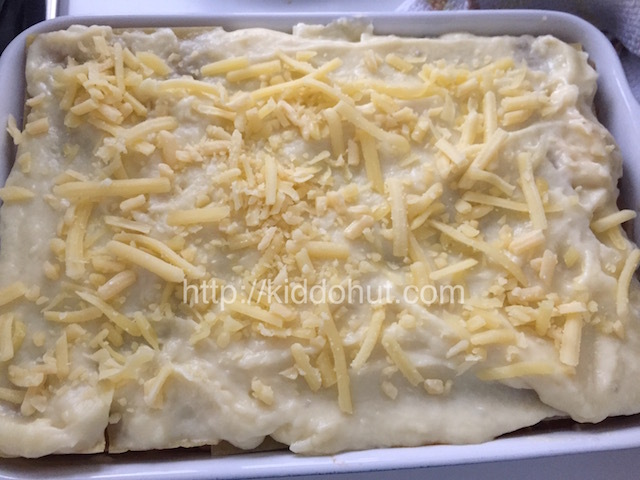 Sprinkle some grated parmesan cheese and bake in oven for 35 minutes. Test if cooked by pricking with fork. 6. Let it stand for 5 minutes. Serve.